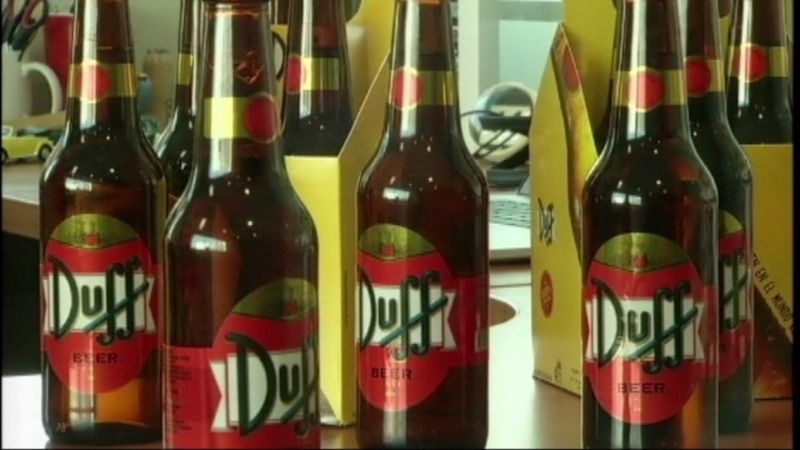 Homer Simpson's favorite beer is now flowing in South America, as "Duff" is on sale at stores and restaurants in Chile. Sales could expand to other parts of South America and into Europe early next year. A similar "Duff" beer is also available at Universal Studios in Orlando. There's no word if "Duff" will make its way to other places in the United States. Fox teamed up with a British brewery to create the beer in an attempt cut down on knock-off versions.